Snoopy also comes from a career as a movie horse – in fact, he and Kansas were often used as stand-ins for each other due to their similar looks! 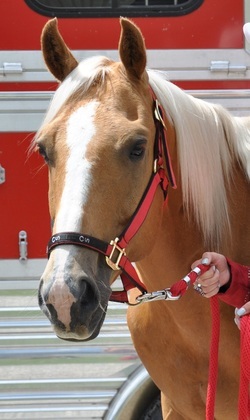 Snoopy has a full blaze on his face including his muzzle, and is always raring to go and loves his job as a Princess horse. 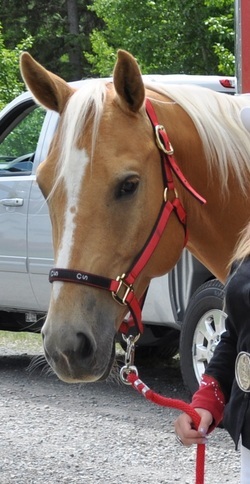 Kansas came to the Stampede with Snoopy in spring 2010 after a stint in the film industry. He has the same lovely colouring as Snoopy so it's sometimes hard to tell them apart, but Kansas is a little taller and his blaze does not include his muzzle. Kansas loves to be in parades.